Watermarking of images is done to keep the image unique and sometimes prevents people to use the images without leaving a credit to the original owner of the image. And there are some good softwares in windows which help in watermarking images individually or in a batch. But Mac has limited ones with some heavy tools which need you to go through quite some number of steps for the watermarking process. 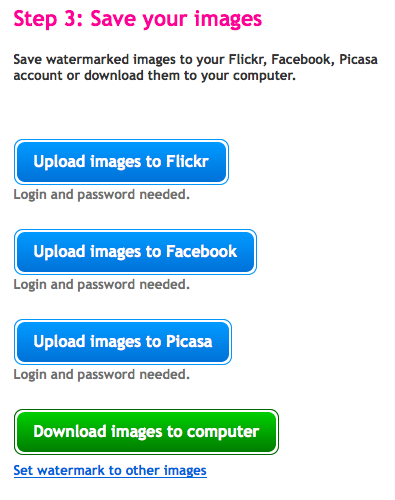 Upload the images that you want to watermark, you can upload them from your computer, or from other sites like flickr, facebook, picasa etc. Now set the watermark, here you have got many options like having a text or image as a watermark, or the text being tiled multiple times on the image. 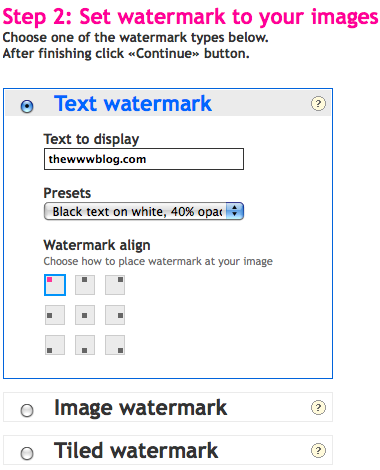 And the setting of the watermark alignment from anywhere from top-bottom and left-right in the image can be done. 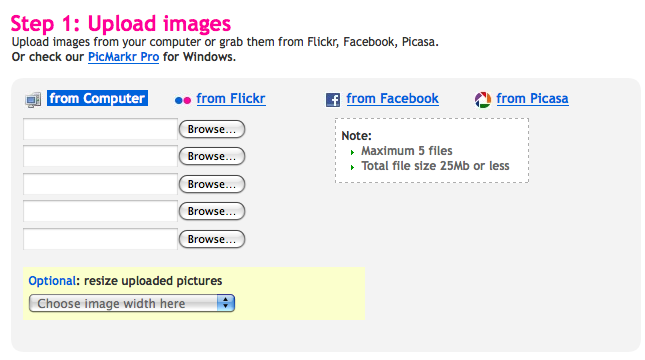 Save the watermarked images, again with the options like to your computer, or to the social sites like facebook, picasa etc. This may come in very handy. Thanks for the heads up. This is really nice tool and very handy, and i think the WordPress has a plugin of this.